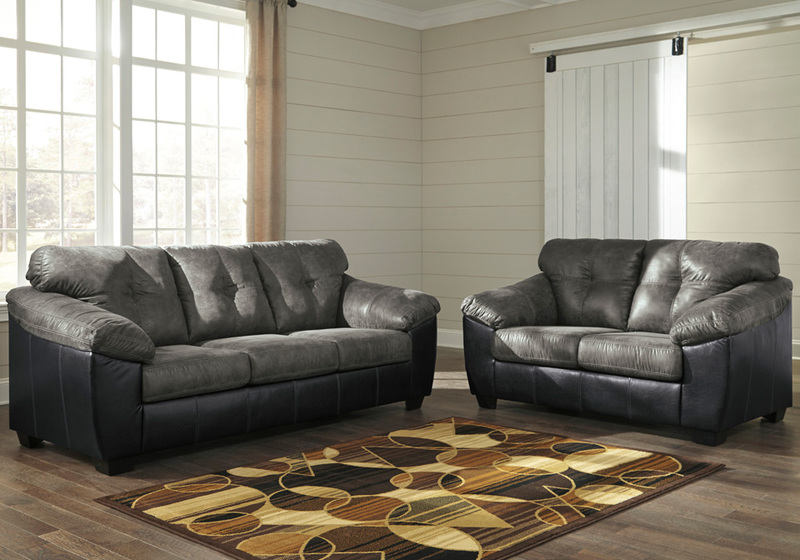 The Gregale sofa set is effortless comfort for your home. Distressed faux leather is stunning in slate gray. Black is a notable complement, amplifying the stylish look of quality. 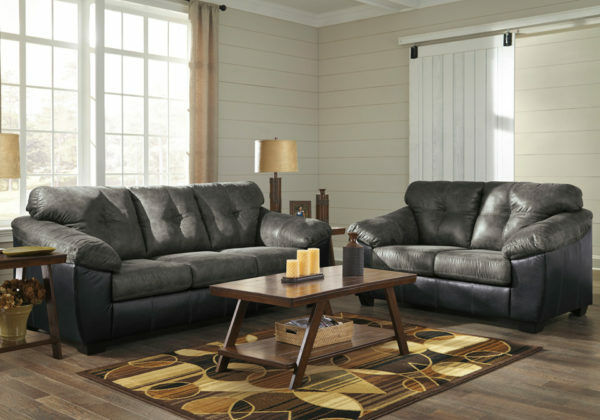 Extra padded flare arms and tufted backs provide ample cushioning for you to de-stress. This sofa set will be by your side for many relaxing personal days and fun family nights to come.